In 1712 an official in New France wrote to his superior in France: "It is to be hoped that His Majesty will see fit to send to this country all sorts of artisans, especially potters and a glass-blower." 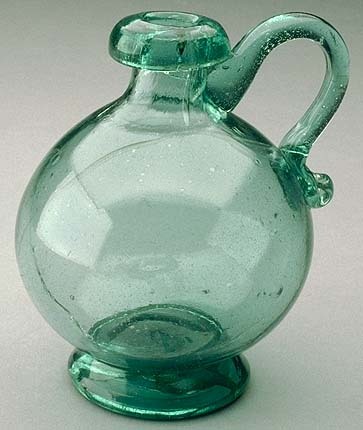 Despite the request, there is no evidence that glassware was ever made in New France. When Britain took control of the colonies, the King discouraged the Governor of Quebec from setting up local industries that would compete with British glass manufacturers. The first known attempt to make glass in Canada began in 1819, when a German-born American entrepreneur worked for a year to establish a glass works at Rice Lake, Ontario, before his land grant was revoked and he abandoned the enterprise. 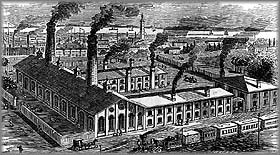 The first recorded production of glass in Canada occurred in 1839 in the Mallorytown Glass Works, Ontario. 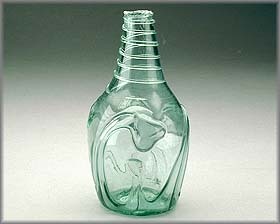 Between 1840 and 1860, window glass and bottles were being made in five Canadian glass works in Quebec and Ontario. Window glass in Canada was first made in the 1850s in Quebec at the Canada Glass Works, Saint Jean, and the Ottawa Glass Works, Como. 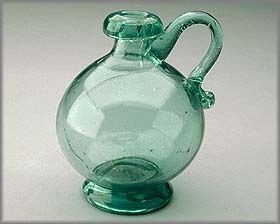 Most early Canadian glass works were located near a suitable source of sand. Others were on shipping routes and had sand and other raw materials brought in. 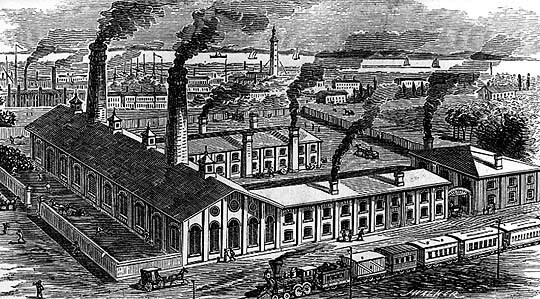 After 1880, new glass factories were established in Montreal, Wallaceburg (Ontario), and New Glasgow (Nova Scotia), with bottles, jars, and lamp chimneys their major products. 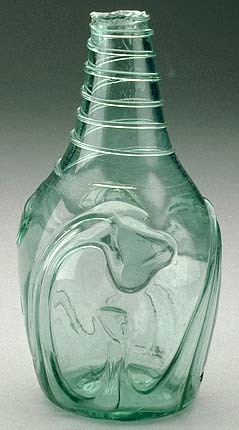 By 1900, Canadian glass works were supplying about half of the Canadian market of 5.5 million people with bottles, lamps, and tableware. 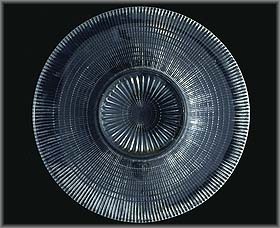 Most Canadian glass of this era consisted of pressed glass, machine-made glassware formed by pressure between a mechanically moving plunger and a mould. 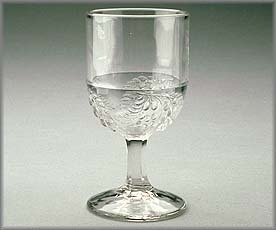 Four Canadian companies produced pressed glass: Burlington Glass, Nova Scotia Glass, Jefferson Glass, and Dominion Glass, which took over the other three in 1913. Most Canadian glass factories were mechanized by about 1937, ending production by hand. 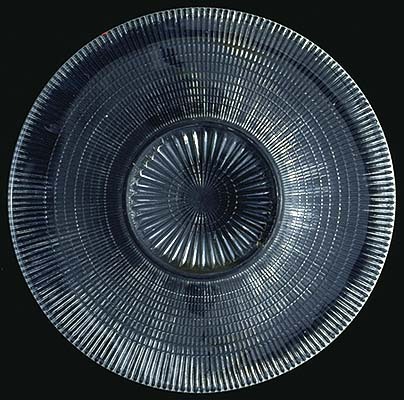 Hundreds of pressed-glass patterns were made in both Canada and the United States. Since most glassware is not marked by the manufacturer it is difficult to identify Canadian products. 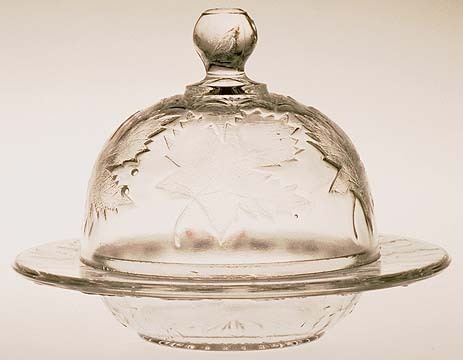 One of the few patterns of pressed glass thought to be solely Canadian is the "Maple Leaf," produced by the Diamond Glass Company of Montreal and later by the Jefferson Glass Company of Toronto. Mass-produced machine-made glassware, often of low grade glass, and in a rainbow of colours, could be bought cheaply in stores in the 1930s and early 1940s. Also given away as premiums at movie theatres and gasoline stations, it is known as "depression glass." 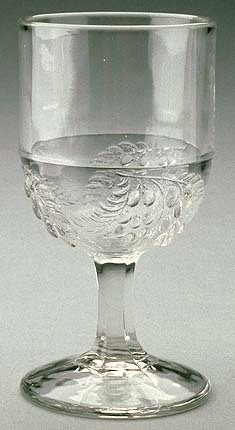 A few patterns of low-cost tableware sometimes referred to as depression glass were made in Canada. From 1839 to the present, glass works were established in forty-three Canadian communities from Nova Scotia to British Columbia. One of the largest was Dominion Glass with factories in Montreal, Toronto, Hamilton (Ontario), Wallaceburg, Winnipeg, Redcliff (Alberta), and Burnaby (British Columbia).